On July 3rd, 2012 Dr. Jürgen Tautz, bee scientist, Professor at Wurzburg University in Germany (leader of the BEEgroup), and founder of HOBOS (Honey Bee Online Studies) was presented this year's Communicator Award from the German Research Foundation. The DFG honors Dr. Tautz' for his many activities and methods to make his scientific results accessible to a wide public audience. In addition to the prize money of 50,000 euros, Jürgen Tautz received a hologram, which serves as a symbol of the Communicator Award. Cologne artist Michael Bleyenberg fashioned the work, expressing the significance of transparency in science. He aimed to demonstrate that it is worth taking a look at things from multiple perspectives. 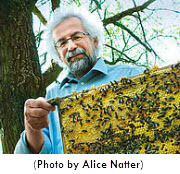 Dr. Tautz developed HOBOS (Honey Bee Online Studies), an innovative internet-based teaching and learning program for multiple levels of study, with live streams and measured values from the beehive and its environment. HOBOS offers globally accessable, interdisciplinary research findings about bees and encourages further exploration. Utilizing infrared technology, Dr. Tautz and his team of researchers at the BEEgroup (Wurzburg University in Germany), have discovered how bees control the environment in which they live. Tautz says "Each bee in a colony performs a different profession – there are guard bees, nest building bees, brood caretaking bee, queen caretaking bee and forager bees..." Dr. Tautz now presents us with the 'heater bees' who control the climate inside the hive, maintain the temperature of the brood nest, and crawl inside the "purposely" empty cells to assist in warming the brood in adjacent cells. Through the spectacularly beautiful photography of Helga Heilmann we explore what is happening inside and outside the hive. 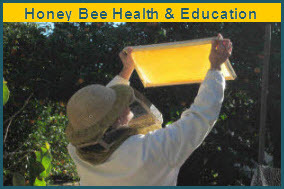 Dr. Tautz describes the honey bee colony as a superorganism; i.e. considering the bee colony as being a single integrated living organism. Dr. Tautz' extraordinary findings were revealed in the BBC series Richard Hammond's Invisible World, where technology is used to give a glimpse into previously unseen worlds. Thermal imaging cameras show how heater bees use their own bodies to provide a unique form of central heating within a hive in the episode Bee Vision and Heater Bees. 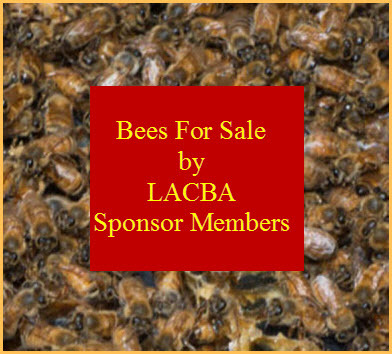 Review "The Buzz About Bees"